TALISAY City completed its unbeaten run in the Samsam Gullas Cup 3.0 Legacy Cup after winning the title last Friday night, Feb. 8, in Carcar City. Talisay City swept Carcar City in their best-of-three championship series with a one-sided 87-59 victory in Game 2. It was a close game early on with Talisay City up ahead by just six points, 37-31, at halftime. Talisay City, however, dominated the second half for a dominant finish. 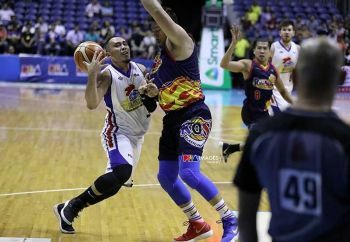 Raffy Bacasmas led Talisay City’s charge with a double-double of 18 points and 11 rebounds, while Jay Deiparine also had a huge game 18 markers and nine boards. Keaton Clyde Taburnal and Michael Tabay Jr. contributed 16 and 15, respectively. Rey Joseph Alfeche had 13 markers and nine boards, while Leonilo Martorillas added 13 points and eight rebounds. Deiparine was named the league’s MVP after finishing this season as the leader in points, assists and steals. He had an average of 22.2 points, 4.4 assists and 5.6 steals per game. Minglanilla got back at last year’s champion San Fernando in the battle for third place after a 70-66 win in a rematch of last year’s finals.